Home CryptoCurrency Mining What is a Cryptocurrency Mining Rig? 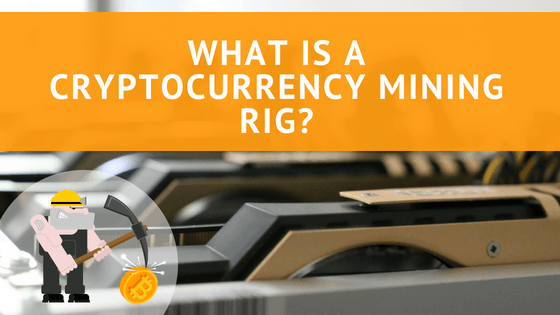 When you want to start mining cryptocurrency, the first question you may have is, what is a cryptocurrency mining rig? Can I build one on my own? The simple answer to this question is, a mining rig is a device that is specifically designed to mine cryptocurrencies. Even though we now use the term for specific new devices available in the market, but if you are using your computer for the sole purpose of mining, you can also call it a mining rig. Now, the next question, what about the PCs that we are using for mining? What is the difference? When you can use PCs to mine cryptocurrencies, mining rigs are more efficient compared to PCs. This is because you use computers for other tasks as well, but mining rigs serve only one purpose – they mine cryptocurrencies. Mining rigs are better options than computers, and ensures maximum returns for you. You can also free your computer for other purposes if you are using a mining rig. For these benefits, almost all serious miners now use mining rigs. There are hundreds of pre-built mining rigs available that you can buy. Can I Build a Cryptocurrency Mining Rig on My Own? Yes, you can. You can build your own mining rig for different cryptocurrencies. You can also read our detailed tutorials about building your own mining rigs for Monero and Litecoin mining. What Makes a Good Mining Rig? First, we need to understand the basics. Mining rigs perform complex tasks to extract cryptocurrency tokens from block chains, so they must be powerful devices. Due to this, mining rigs demand a lot of processing power. For this purpose, mining rigs use GPU (Graphics Processing Unit). The use of GPU in mining rigs or other devices like computers is also referred as GPU mining. GPUs were used by designers and developers in creating 3D graphics, mostly for the video games and animations. However, now GPUs are used with mining rigs to provide them a processing power they need. Most pre-built mining rigs come with multiple GPUs. The more GPUs your mining rig has, the more efficient it is. However, with each additional GPU, the cost also increases. For example, a mining rig with four or more GPUs can easily cost you more than USD 5000. In most cases, the key parts of the mining rigs are GPUs (graphics cards), motherboard, a processor, and a power supply. In addition to GPU mining rigs, another popular type is ASIC mining. ASIC stands for Application-Specific Integrated Circuit. These are chips that are designed to mine cryptocurrency. You can learn in detail here which one of the above is more profitable, along with pros and cons for both. Is Mining Rig a Good Investment? It depends on which cryptocurrency you’re mining and the cost of the mining rig. It also depends if you are buying a pre-built mining rig, which often costs more compared to the one you build on your own. GPU mining rigs can be sold if you don’t want them anymore, or you can use the parts like GPUs in your computers as well. Overall, mining rigs often result in a good investment. You can also use this online calculator to calculate the ROI based on the performance of your mining rig. Previous articleWhat is the Best LTC Mining Hardware? Next articleWhat is the Best 6 GPU Motherboard in 2018?